Any question? ask here or on my blog. Fie…! Fie…! Oh, wait a minute… I meant, Five! The number Five in the Minor Arcana…. Of course, it is a struggle with the fives…! You see, the universe is always moving towards balancing, and so it is imperative that there be chaos, else the universe would have to retire itself. Yet, perpetrating disbalance is not a portfolio that anybody would pick up willingly. So, smack bang in the middle of everything, there is Five. When you have worked and learnt and gathered and made everything just so, along comes a time which is upsetting in nature, challenging in appearance, and calling itself an opportunity. These are your number cards Five in a Tarot Deck. And if you want to regain your equilibrium, and enjoy happy, stress-free days again, you must pass through this portal. Indeed, the number Five in the Tarot Deck, especially in the Minor Arcana, represents a portal. 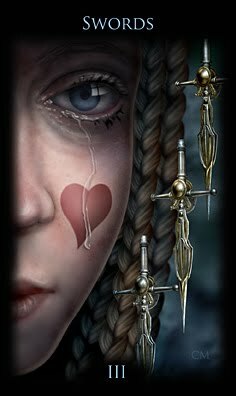 FIVE of SWORDS: Complete disruption in all the ways you have engaged your intellect, up until now. You can argue and be clever all you want, but you have just now alienated your whole friend-list. FIVE of WANDS: Complete disruption at play, where you engage your patterned reactions… and it is not even evident at first. 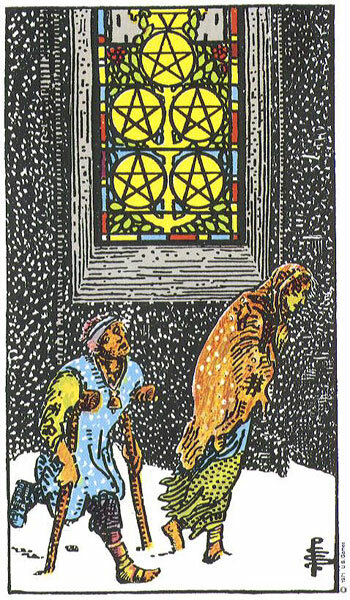 FIVE of PENTACLES: Complete disruption of material stability. Not a penny left, robbed clean of even your hope… Penury at its worst. Here, I spy, is the key! FIVE is Mercury, the trickster… the fox who rampages through traps set in the forest so that all animals can become alert to their vulnerability, and empower themselves. Thus, the Fives crash through precisely that trait in us which is causing us to lose our grip on the bigger picture. 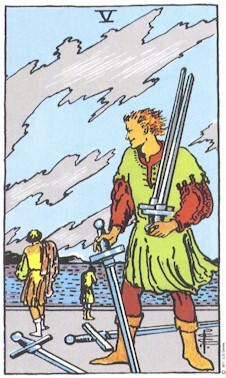 Thus, Five of Swords really occurs when you have had a spate of being proved right, and you are creeping up on the idea that you are infallible. 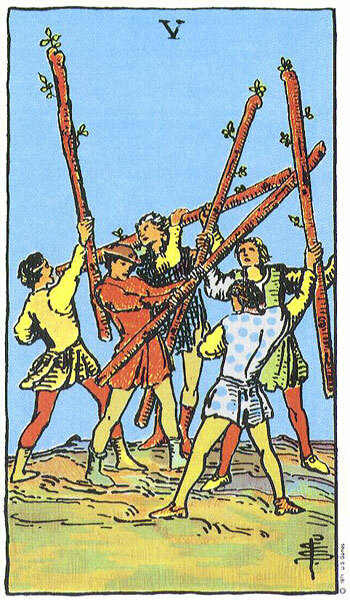 Five of Wands happens upon you when you become so steeped in your importance that you get mixed up between playing at competing, and warfare. 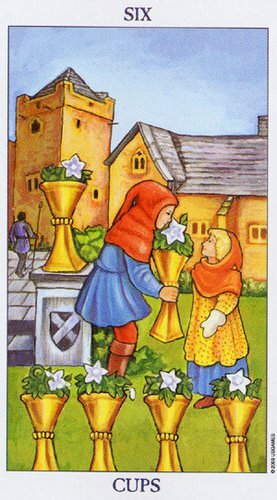 Five of Cups throws your expectations right back at your face, asking you what gave you the right to put your loved ones to test, when you don’t come up to scratch, yourself. 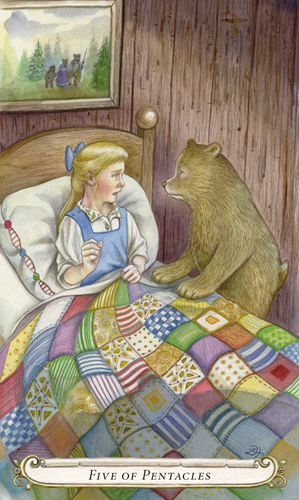 And Five of Pentacles robs you of what you hold most dear, and forces you to face living without it. Yet, we need to turn the key another notch…. Mercury is also the divine messenger, and the number five is the fulcrum in the march of numbers…. 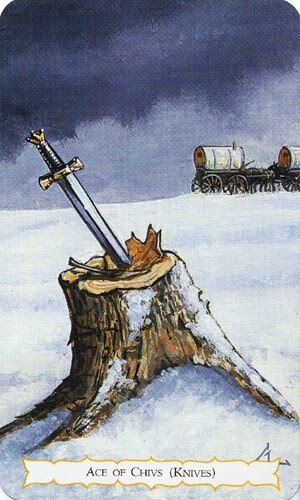 FIVE of SWORDS… bring in earth. 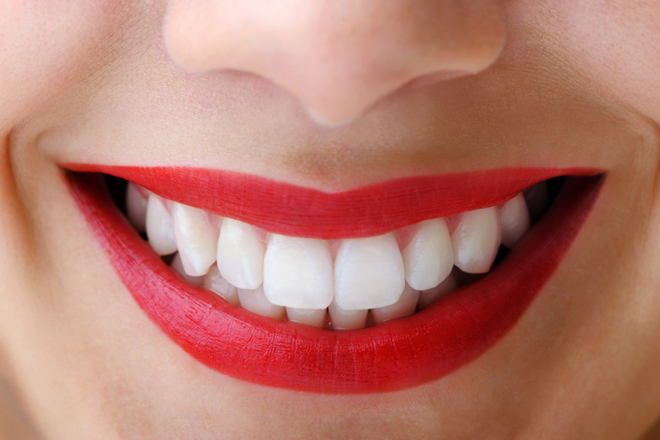 Look at what stabilizes the frightened man, as fright exists in the head. Hand him that. Show him the way home, where he can eat a full meal, and sleep on a peaceful bed. 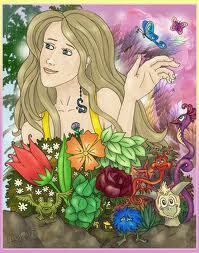 It certainly follows that FIVE of PENTACLES can thus be calmed by air… by reasoning and analyzing the situation. Show the querent where in his circumstances are his resources still available. 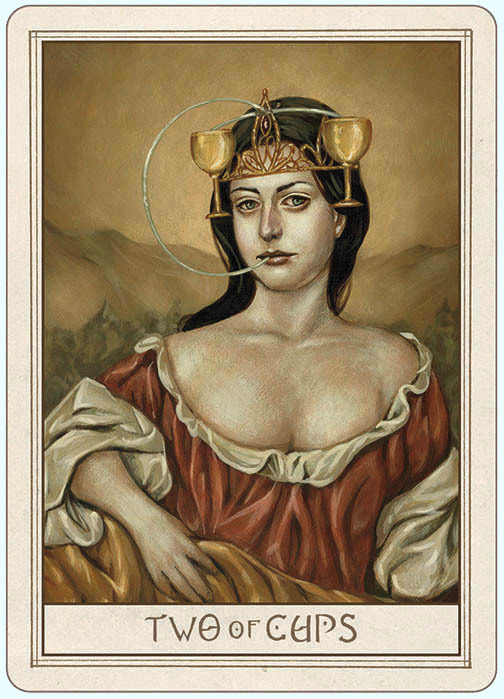 For FIVE of WANDS, a cool draught to calm down the striving arms by giving them something to hug. Invariably, it is something within the querent that he would find loving/lovable… thus, justifying his stepping back from the fray. And for the FIVE of CUPS, summon fire. Stir up passion. Dig out the creative spark and stoke it into a bonfire. It behooves us to remember at this point that Mercury is a neutral planet… with neither a masculine, nor a feminine disposition. This makes it uniquely placed to show us a mirror of what we are missing…. When at a reading, a Five shows up, I have learnt to identify potential greatness. It has entered the picture to show us the possibility of a seed in the fruit, the promise of a whole orchard! Your querent may not be a willing party to disruption.. in fact, he may view it as a downright threat… but that is why you are here, grinning at your loopy high-fives! In the shower this morning I was accosted by a large huntsman (spider) who decided to cling to my toe in an attempt to escape the water and soap suds! Crikey! I jumped about as high as the horse in the Knight of Wands and undoubtedly had a similar expression on my face! Eeeooow! 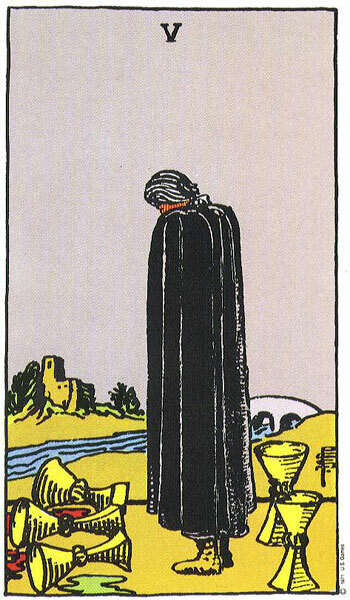 [shudder] Which prompted me to find a card that would accurately reflect my experience. Admittedly, I had not associated the Knight of Wands with phobias before this, but a closer examination of the beast’s facial expression and body posture leads me to conclude that (in light of my own experience) from this day forth it will represent phobias, for me! Australia has spiders, lots and lots of spiders. Soon after we first moved here my youngest son (who is an arachnophobe) had his first encounter with a huntsman too. I recorded his reaction in the video attached, it is absolutely hysterical! But be warned, his *colourful* language is for a mature audience only! Empress– Ovaries & female reproductive system. Pregnancy.